Who are we? What do we do? How can you help? What’s a catchment partnership? These are some of the questions we know are being asked. 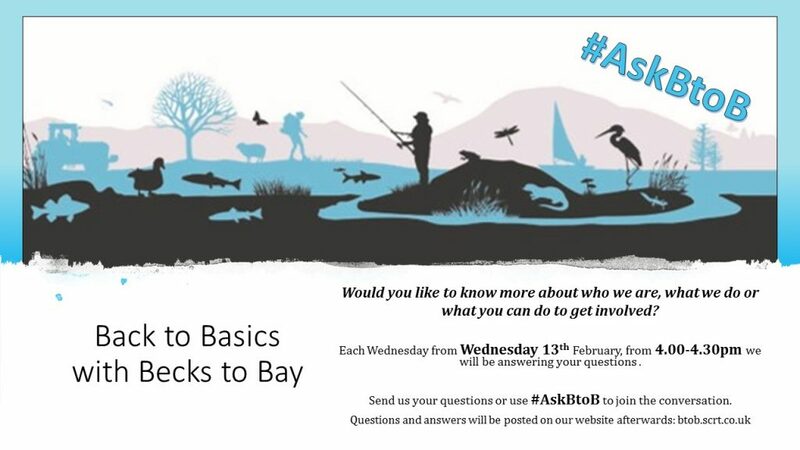 We hope our website helps to answer some of these but if not every Wednesday from 4-4.30pm we will be answering your questions on twitter and facebook. Please use #AskBtoB to join the conversations. We’d love to hear from you! All questions and answers will then be posted on our website. Not a social media users? No problem, email us your questions and we’ll post the answers on our website.